Just been notified about an impending audit? Need training on new legislation? Do you have a query about your Pharmacovigilance or Pharmacovigilance in general? 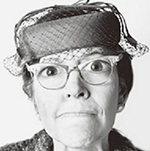 Then ask our Agony Aunt Ms Grizelda Hartworthy-Smyth. Simply complete our enquiry form here and provide details of your Pharmacovigilance or related query and Grizelda will try to help. Understanding the entire global Pharmacovigilance technicalities is understandably difficult. Our clients can call on us and use the vast knowledge and experienced of our Pharmacovigilance Leaders and General Management to assist them in resolving their problems. Alternatively, email pvproblems@pharsafer.com and we will help you with your compliance issues. Naturally, Grizelda cannot solve all of your problems – that’s where the rest of the team come in, but she will endeavour to help provide quick solutions to your immediate queries or point you in the right direction. PharSafer® also works with a number of experts and strategic partners in other disciplines, helping you to adopt a ‘one-stop shop’ approach. All of our strategic partners have been chosen because we have worked with them in the past and know they will provide the high standard of work we require. Have a question for our Agony Aunt? Is it true that following the acquisition of another Companies product, we are responsible for the legacy data and compliance too? Our EU QP PV knows the legislation but has not worked in Pharmacovigilance before – is this OK? Our products are generic and have been on the market for over 25 years. Do we need to do safety reviews or signal detection or is this the responsibility of the product Originator? Our compliance for case processing has been consistently at 90% for the last 6 months – is this sufficient for a Regulatory Authority? Is it OK for a Pharmacist to perform the medical review of safety case reports? What data is routinely reviewed in safety reviews for generic products? Our EU QP PV says that there is no requirement to look after the safety of products with one license in Europe and it is possible to delegate out that responsibility for PSURs and reviews – is this correct? Are there any fines which can be imposed on Companies failing Regulatory Inspections in the EU? What data is reviewed in safety reviews in early clinical trials, e.g. up to Phase II at most? Is it necessary to visit and audit all distributor partners – we have over 300 at present? Why not put us to the test. Either complete and submit a question using the form above, or make direct contact with us by email or telephone, if you have a particular query you need answered urgently. SaPhar, the sister training Company to PharSafer®, provides a comprehensive Pharmacovigilance and Medical Services training programme designed for all levels (Introductory; Intermediate and Advanced) around the world. You can either book onto an existing course or we can develop a bespoke course for your company. For details on the courses available: click here.